Wockhardt Ltd’s shares fell as much as 12% through November, but have moved up in the past few days; on Tuesday, they rose 6.4%. 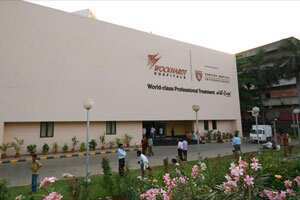 The current economic climate may be a concern for Wockhardt’s investors. The firm got 37% of its 2010-11 revenue from Europe, a region whose fiscal stability has been shaken. Volatile foreign exchange rates are another concern, as they can dent profit. A sequential drop in net profit during the September quarter may be another reason. While operating profit rose marginally on a sequential basis, non-operational factors affected profit growth. Expenses due to exchange rate fluctuations and exceptional items eroded ₹ 111 crore from profit before tax. As a result, net profit was ₹ 128 crore, compared with ₹ 194 crore in the June quarter. Still, its balance sheet position has got healthier since March. Its debt-to-equity ratio was 2.6 times as of 30 September, compared with 3.4 times as of 31 March. The improvement was due to lower debt levels, and the addition of profits to reserves. Cash on hand, too, has increased. In absolute terms, Wockhardt’s debt levels are still high, but proceeds expected from the sale of the nutrition business will enable it to lower debt to more reasonable levels. If the business continues to generate adequate cash flows, then it should be able to further lower debt. In 2010-11, the company generated ₹ 642 crore of cash from operations, compared with an outflow of ₹ 199 crore in the previous year. Continued volatility on the foreign exchange front and the unravelling economic crisis in Europe may affect Wockhardt’s performance in the December quarter, too. This can affect both its business and liabilities denominated in foreign currency. The US business is likely to buffer its performance, though there is the risk of a base effect coming into play there. The company is in a far better place than it was over a year ago. Investors will watch for the impact of forex volatility on its financials in the forthcoming quarter, how much further its debt-to-equity ratio can improve, and whether its sales growth and profitability levels are sustainable. The signs so far have been encouraging, but Wockhardt still has some distance to cover before investor confidence in the stock can reflect the extent to which its performance has improved.